With the retirement of the Netherlands’ Chipknip electronic card payment system, Bergen op Zoom decided to digitise the existing badge system for on-street parking, as well as enforcement. Councill Yvonne Kammeijer, who is in charge of the city’s parking policy, is also the alderman for sustainability, and she took a decision to use an electric vehicle (EV) as part of the solution. This was in line with a policy of leading by example, and also to take advantage of EV’s silence in operation. 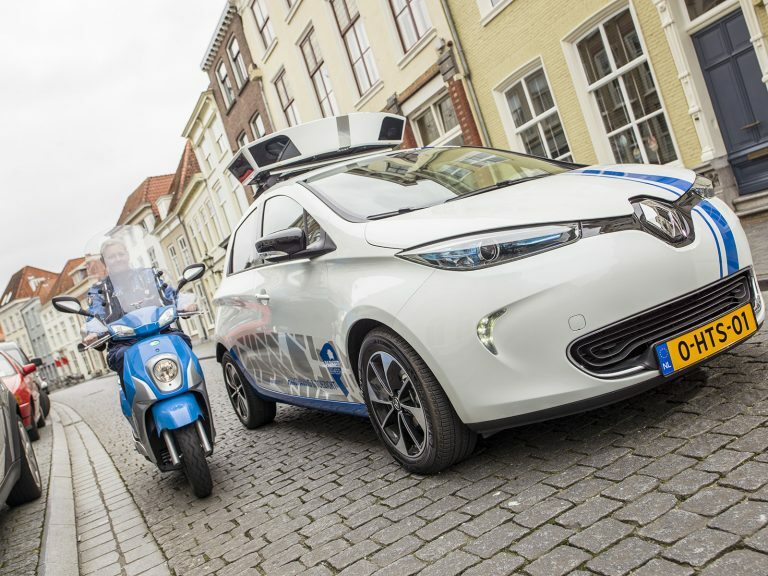 The new EV-based enforcement vehicle can check whether a vehicle holds a parking permit, or has paid. It can also account for whether a vehicle is a new arrival and the driver is absent but in the process of making a payment, as well as notifies on-street operatives to make checks and issue penalty notices as appropriate. Unlike the previous system where a violation notice was placed on an offending vehicle’s windscreen, with the new digitised system notices are generated from the back office and sent to registered or home addresses of owners / drivers.